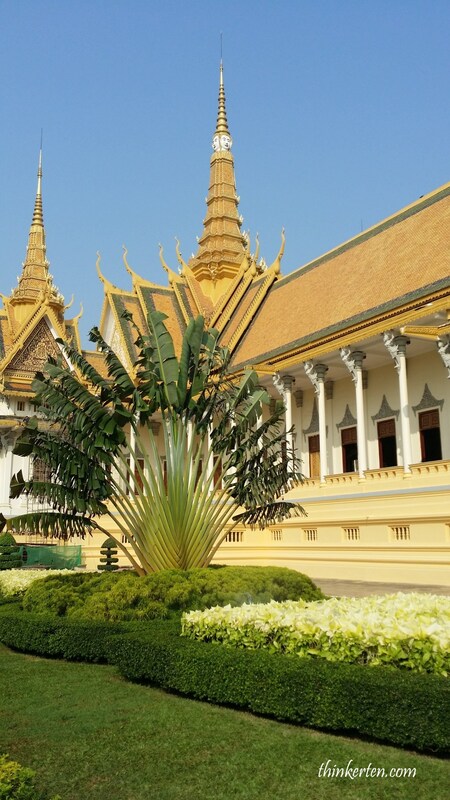 Capital city of Cambodia, Phnom Penh, along with Siem Reap and Sihanoukville, are significant global and domestic tourist destinations for Cambodia. 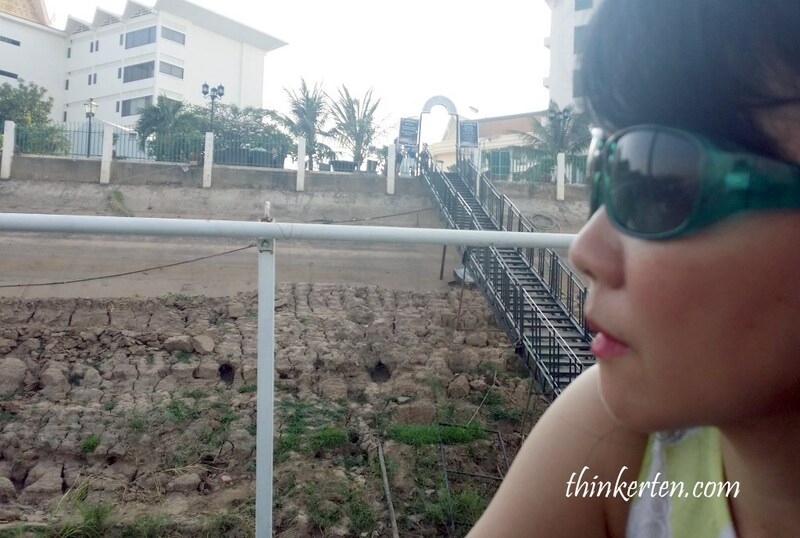 This time, I only stayed in Phnom Penh for few days to have a taste of Cambodia. I get to know a little bit of Cambodia from my University friends who were Cambodian refugees to Australia. Now, I was about to explore myself for few days. Cambodian currency is in Riel but in Phnom Penh, everything sold in USD. If you catch the tuk-tuk, the driver asked for USD. If you give them Riel, they won’t want to accept. In the convenient store outside the hotel, everything in the store is labeled in USD. If you give them Riel, the shop owner refuse to accept. But when they return you the small changes, it is in Riel, how weird. When we changed our money to Riel in the airport, the money changer told us they will not take back the Riel if we cannot finish the Riel. Nobody seems to want to have the Riel. My advise is – no need to change your money into Riel at all. Supermarkets, restaurants, tuk-tuk taxi, convenient stall all receive in USD only. 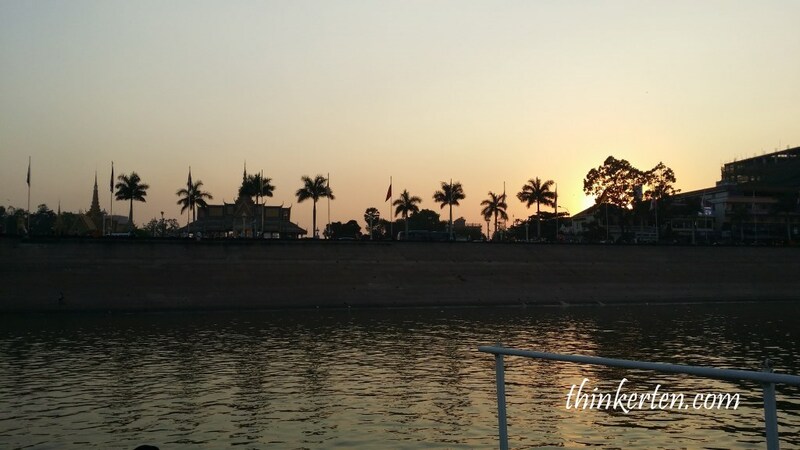 We arrived after lunch in Cambodia and after checked in to Hotel Cambodiana, we do not have much time left so we decided to go for Mekong River Cruise. The one hour sunset Mekong River Cruise depart at 5 pm sharp and we were told to be there by 4.45 pm to board the cruise. It was a small cruise with only few couples and few families. The cruise is small but there is a waitress taking your orders for drinks while on board. The view of the city from the cruise was not that great but when the cruise goes to some Cambodian villages that’s where all the interesting sight came in. Children taking off their clothes, jumping into the river to take their bath and swimming freely, playing with other others. Some ladies washing clothes at the river bank. To me, this sight is beautiful. 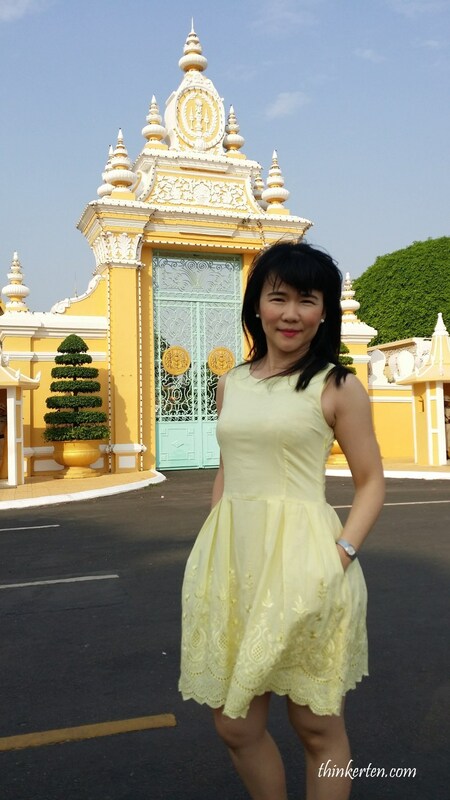 This morning I was about to visit the King Palace and before we entered the King Royal Palace, there are some large space outside the Palae where you could take pictures with the beautiful outer architecture. I find this side gate is very beautiful but we were not allowed to enter from this gate. 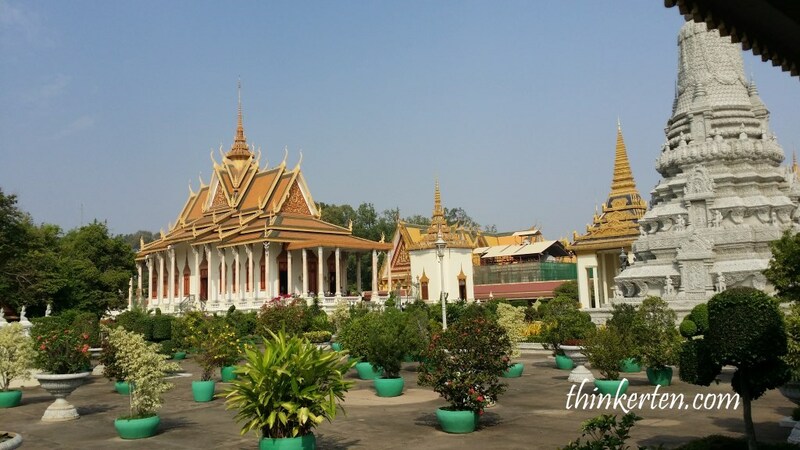 The large space outside the Royal Palace Phnom Penh is a great place for the Cambodian family and friends to gather and having picnics or catching up. Below picture is the Throne Hall inside the Royal Palace complex. 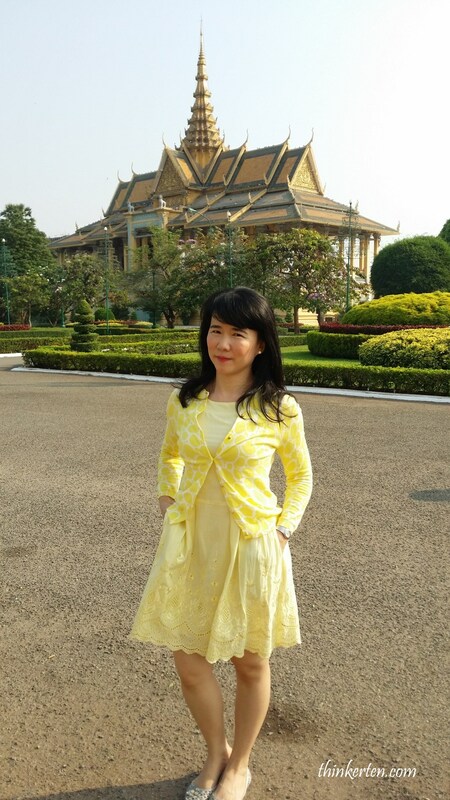 This complex of building serves as the royal residence of the King of Cambodia since 1860 s.
Upon entering the Royal Palace, I was asked to cover my body with a cardigan as sleeveless is not allowed to enter the Palace. 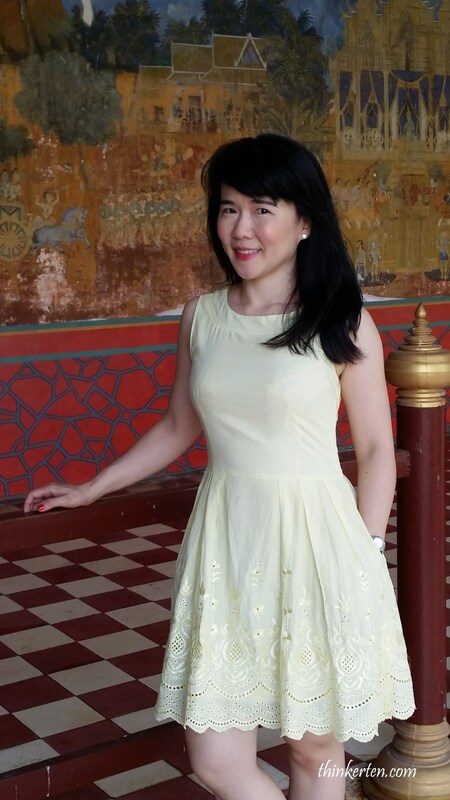 Be aware of the dress code in Royal Palace in Phnom Penh. 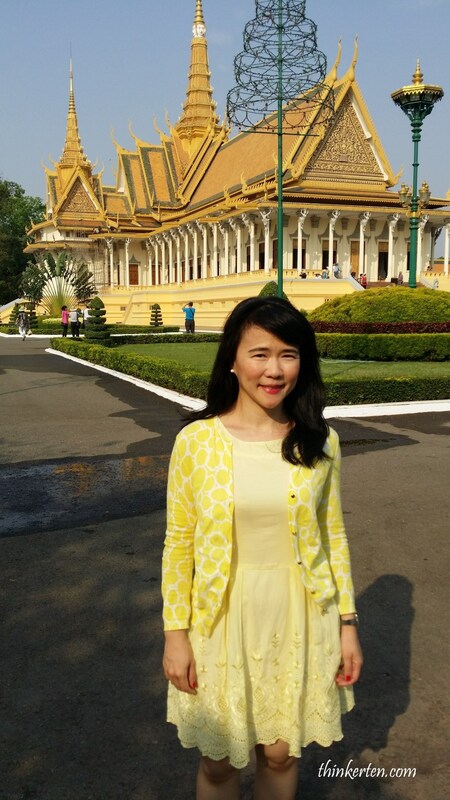 The Throne Hall is where the King’s confidants, generals and royals officials once carried out their duties. It is still in use today as a place for religious and royal ceremonies ( such as coronations and royal weddings) as well as a meeting place for guests of the King. Moonlight Pavilion is an open-air pavilion that serves as stage for Khmer classical dance in the past and present. 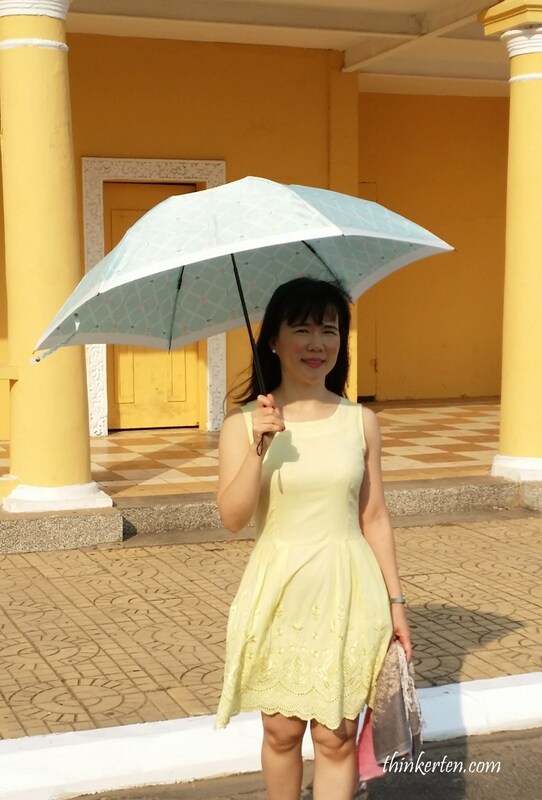 It took me about 1 hour to walk around the Royal Palace. 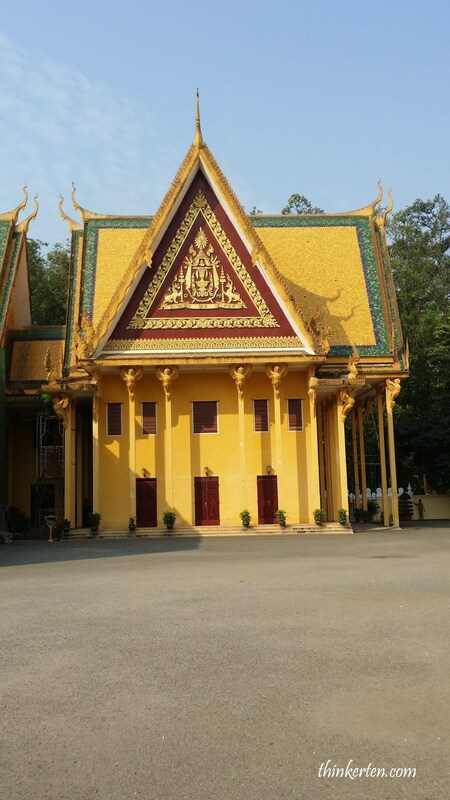 The buildings are similar to the Thai architecture. Most of the buildings are painted in yellow. The Silver Pagoda is located on the south side of the Royal Palace. After finished walking in the main complex of the Royal Palace, I walked to the Silver Pagoda to explore this Khmer Temple. 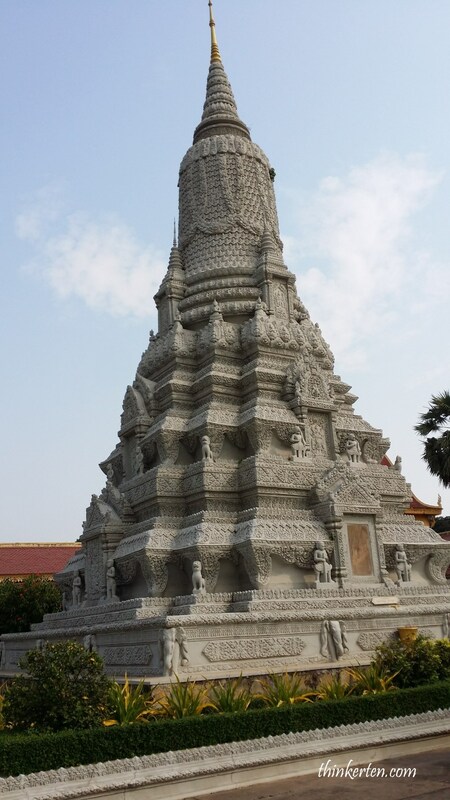 This stupa is named after the previous King of Cambodia, Norodom Suramarit from 1955 to 1960 who is the grandfather of Cambodia’s current King. The Silver Pagoda is unique in many ways, this is the place for the King to meet with monks and listen to their sermons and where some Royal ceremonies are performed. 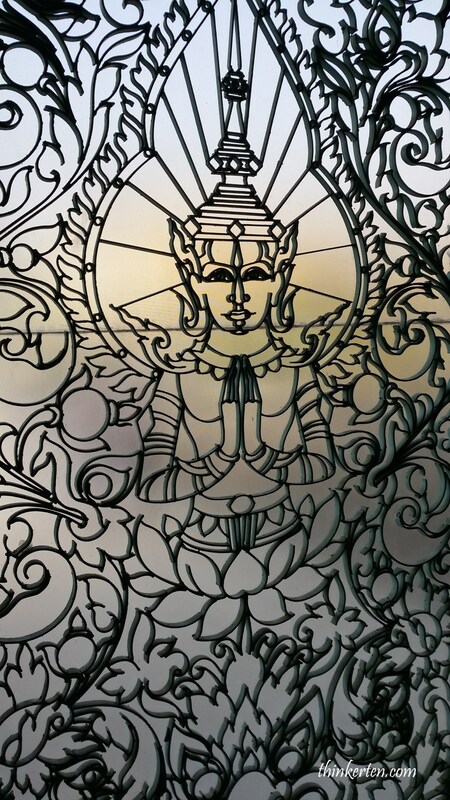 There is a most outstanding historical objects – “Emerald Buddha” but photography is not allowed. 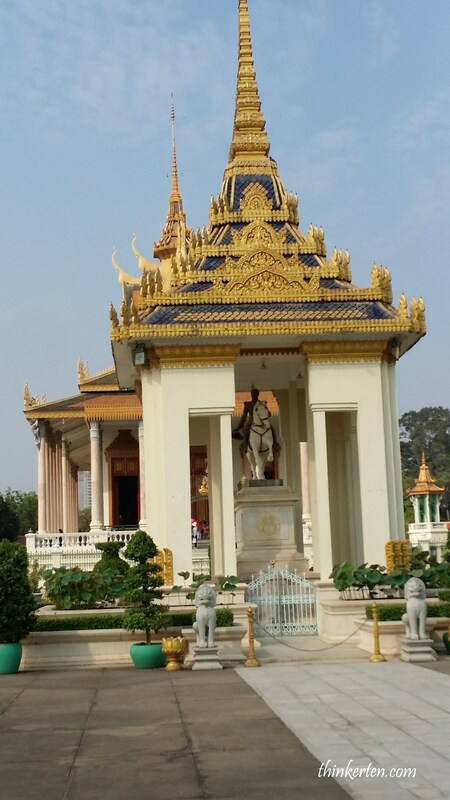 In front of the pagoda is a noticeable statue of a man riding a white horse. The man was originally Napolean Bonaparte and it was a gift to King Norodom from the French military commander. However, the head was later changed to closely resemble the Cambodian King. 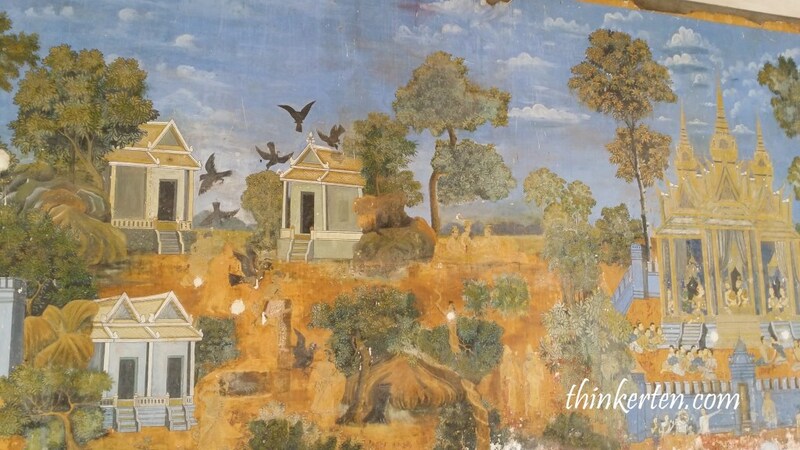 Beautiful mural can be seen depicting the classic Indian epic of Ramayana (known as the Reamker in Cambodia). 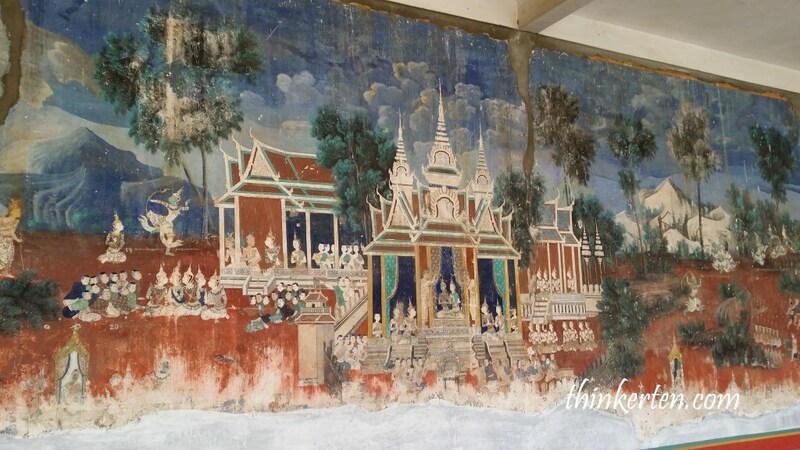 The wall was painted by the Cambodian artist in 1903-1904. Some colors has faded but I am sure there are some elaborate stories behind it. I was standing there for quite a while to look at the interesting mural. 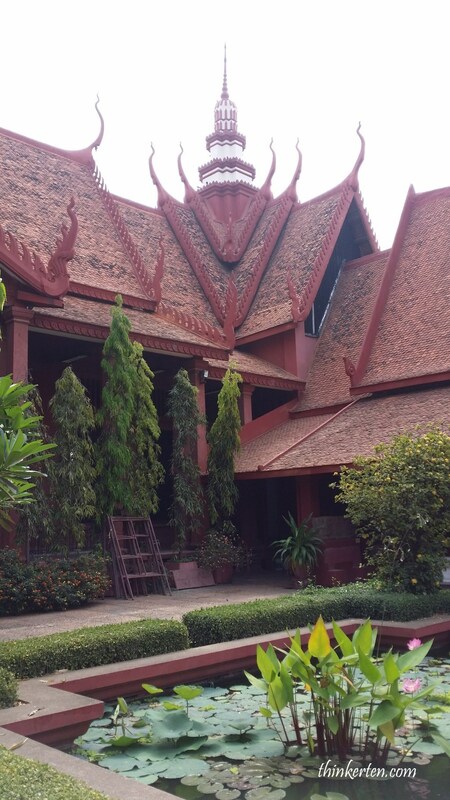 The red building below is the National Museum of Cambodia houses one of the world’s largest collection of Khmer art, including sculptural, ceramic, bronzes, and ethnographic objects. I spend about an hour inside the museum looking at the artifacts and antique tie to the past. I saw a banner showing “Traditional Folk Dance Show” and I got to know the show performed in the evening so I came back again at the Museum to watch the show. The colorful dance show was performed by the students. Their folk dances celebrated planting and harvesting in the paddy fields, fishing and traditional wedding. It is very interesting to see how their dance with their footwork and their movement of hands when performing the dance. 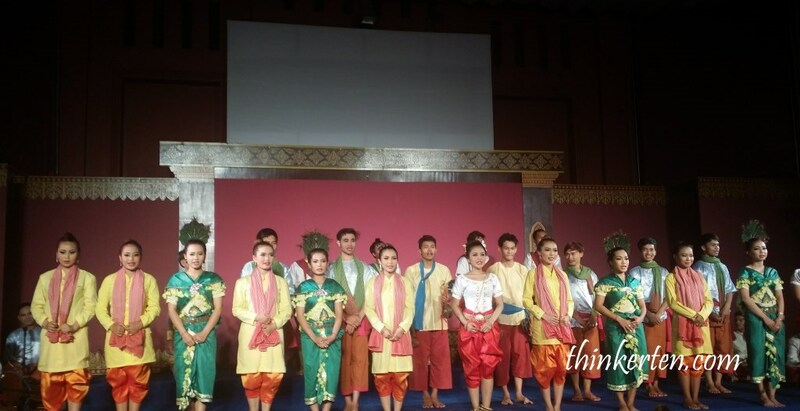 Because all dancers are students and young, I could see they are very passionate in their performance and it was really a wonderful show one should not miss while in Phnom Penh.